Autocompanies Haima (official name - FAW Haima Automobile Company Ltd.) is a subsidiary of China's oldest carmaker FAW and was founded in 1990. This project was a joint venture between FAW and Mazda, the production capacity of which are located on the Chinese island of Hainan. The name of the brand - "HaiMa" - consists of two words. "The Hai" - is the name of an industrial area of the Hainan, where production is located, and "ma" - the first letter of the Japanese brand "the Mazda". 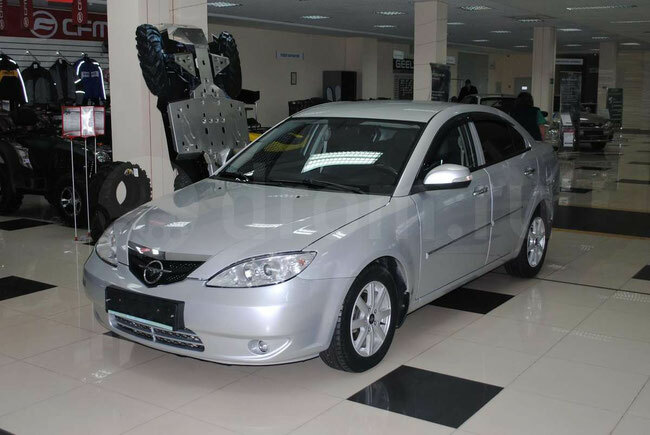 The company produces Mazda outdated models based on mechanical components for the Chinese and South Asian markets. The agreement between the Japanese and Chinese manufacturers ended 16 years later - in 2006 and brought mutual benefit. Thus, by obtaining advanced technology, modern management and production management systems, as well as a relatively high quality of their products Haima brand entered the automotive industry leadership of the People's Republic of China, and the Japanese company received a huge new market. 1994 was marked by obtaining FAW Haima Automobile Company Ltd. certificate ISO 9000 - the global standard for quality management system. Haima became the first representative of the Chinese automotive industry, has received the highest rating. 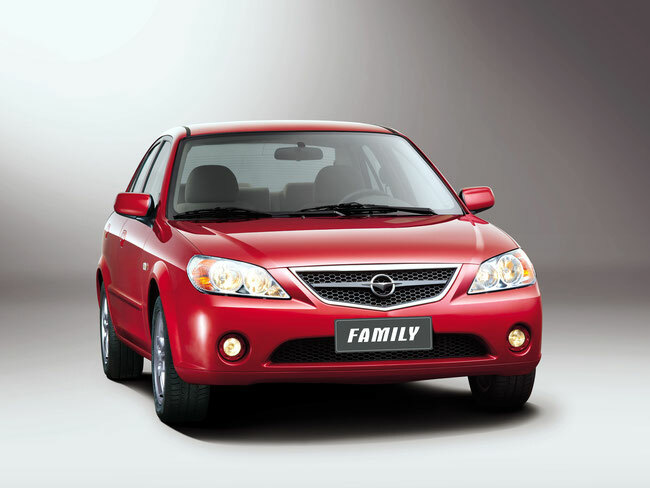 After the end of the contract with Mazda, in 2006, Haima began producing cars under its own brand, its sales are mainly in the domestic national market. In 2007, exports abroad was launched. As a result, in 2010 the brand has successfully entrenched in the South American markets, the Middle East, North and South Africa, Eastern Europe and gradually spread in Russia, North America and Western Europe. Today power Haima Automobile assembly located at 2 million. M, and the annual production capacity is about 300 thousand. Machines and 300 thousand. Motors. The plants are equipped with such modern equipment like ABB (Sweden), ATLAS (CSHA), COMAU (France), DEMAG (Germany), HELLER (Germany), SUNDWIG (Germany) and others. In addition, the Chinese manufacturer has departed from a total copy of Mazda and develops its own model. It is significant that the entire development of modern Haima car line produced with the participation of world-renowned automotive gurus like German Technical Center LOTUS and the Italian design studio IDEA. Nevertheless, the influence exerted by the Japanese concern, is the determining factor, at least in the design of modern representatives of bodies of cars Haima - not only all production models, but the concepts are very similar to Mazda silhouettes. For example, a modern flagship model - the urban front-wheel Haima 3 - clearly made on the basis of the Mazda 3. This half sports car is positioned as a possible competitor Ford Focus and Peugeot 307, and, in fact, for most of the prototype - the Mazda 3. The design of the body and interior is designed in conjunction with Italian IDEA, the chassis is designed by engineers Lotus German branch, and the mission - Belgian company PUNCH. The machine has an unusual for the Chinese automotive industry with modern spacious interior and a pretty powerful petrol engine series DOHC L4 16V 1.8-liter, power 112 - 122 hp, which allows to develop a maximum torque of 160 N / m at 4000 rev / min. Maximum declared speed of 170 km / h and acceleration to 100 km / h going on behind the 14.3 - 14, 5. Cars equipped with independent front suspension, MacPherson, independent multi-link rear suspension, ABS, EBD and pinion hydraulic steering column c. toxic emissions norms correspond to standard Euro 4. The car is available in trim with manual or automatic transmission with a CVT, and the ability to control a manual 6-speed mode. Basic vehicle equipment is equipped with two front airbags, which allowed during the crash test to obtain optimal safety performance. Hiring 3 is available in two body types (sedan and hatchback) and all colors. The second flagship model of the company - front-wheel drive family car Haima Family HMC7162 (A) - more like a sedan Mazda Family beginning of the 2000s, which in turn is an analogue of the famous 323rd Mazda that period.. Quite the venerable age of the car a few brightens modern interior of good quality, updated range of engines and a good ratio of price - quality. Car comes with two types of gasoline 16-klapannyhdvigateley - 1,6 l 96 strong 4G18 DOHCL4 16VMVV (own design) and Brazilian 1.6 liter 115 strong Tritec ZM-D 1.6 L, DOHCL4 16VVICS. For the first equipped with an automatic 4-speed or 5-speed "mechanics", and a more powerful Brazilian motor comes with a 5-step "mechanics" or a variator. The machine comes in four trim levels - Standart, Comfort, Sunroofi Deluxe. The complex base of passive and active safety in the identical set of Haima 3, at the request of the machine equipped with back-up radar, side airbags and remote device lock door locks. Today's conceptual model Haima are presented with three samples. It Freema - an obvious analogue Mazda Premacy minivan, hatchback Haima H11 - synthesis of the Mazda 3, Chevrolet Lacetti and, of course, successful Haima 3, as well as the only truly original coupe Haima S1. Five bed or seven-seater cars Haima Freema equipped with petrol engines type HM 483Q 1.8 L, FP 1.8 L and HM 483Q 1.8 L volume of 1839 cc., Capacity of 122 hp Together with the engine mounted FP 1.8 L 4-speed automatic transmission, while the other two models are equipped with 5-speed manual gearbox. Technology "highlight" is the electronic-mechanical steering system of his own design. Freema cars since the mid 2011 dostupnyna in Asia and in the trim Standart Deluxe.